It’s only three weeks away until our next event! 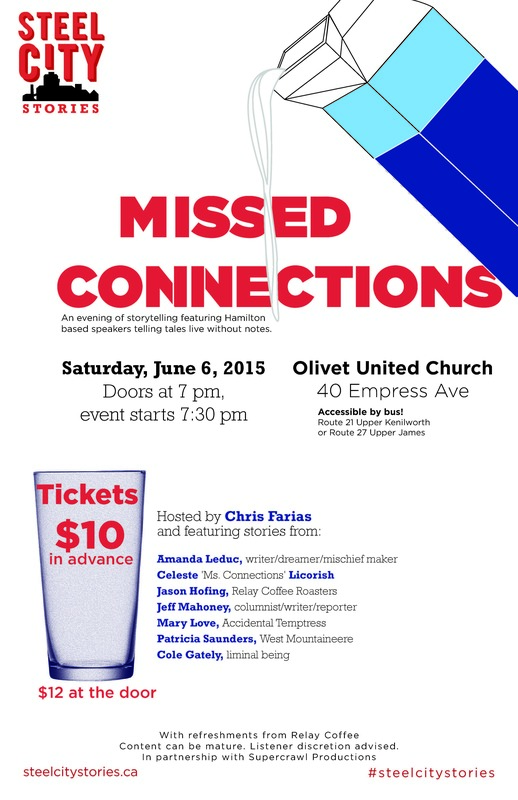 On June 6th, we’re moving on up to the Hamilton Mountain for live stories on the theme of ‘Missed Connections’. We are very excited to announce that Chris Farias will be our host for the evening. He did an amazing job as a storyteller for our previous event ‘Faking It’, and we are thrilled to have him back for another night. We’ll also be posting more details on our new storytellers as we get closer to the event, so check back soon!